Love your style? 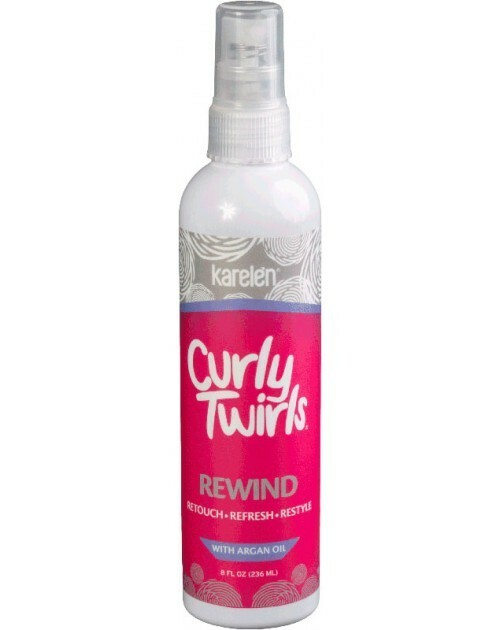 Keep those locks rocking with Curly Twirls Rewind. Formulated to deliver a quick blast of nourishing argan oil and hydration to your curls, Rewind controls frizz, neutralizes odor and restores hold to your fabulous style, all while keeping your hair soft and touchable. 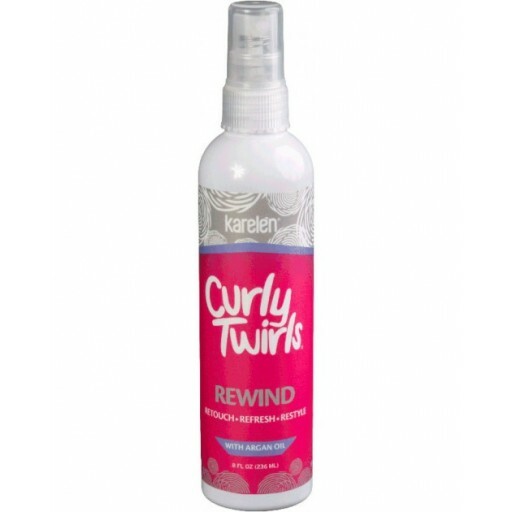 Take your style back to the beginning with Curly Twirls Rewind! Spray liberally onto wet hair and then style hair for moisturizing and extra hold. Use on dry hair to moisten and touch-up curls. Ideal for use as a second day re-styler.